Brian Smith's practice is focused on eminent domain and condemnation, representing property and business owners statewide through the condemnation process – from pre-suit planning and negotiations to trial. He has worked with a wide variety of property owners, including large, multinational corporations, REITs, developers, small business owners and residential homeowners. Brian has also represented a range of property types, including multi-family housing, industrial parcels, multi-tenant office buildings, commercial strip centers, outparcels, restaurants, banks, cellular towers, mining operations and undeveloped property. As such, Brian has developed a versatile approach to the eminent domain process and related litigation. He has forged strong relationships with those in the field and closely follows developments in Florida’s eminent domain law. 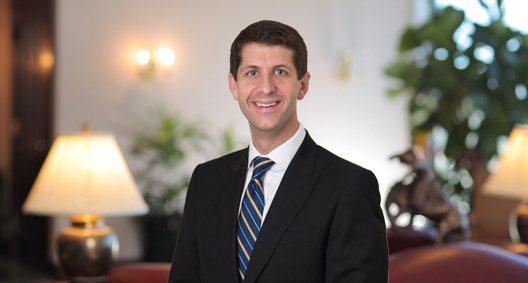 In addition to his eminent domain practice, Brian has experience in complex commercial litigation, representing clients such as defense contractors in various government contracting matters and design firms in professional liability, construction defect and general business matters.